Summary (from the back of the book): The Taliban have withdrawn from Kabul's streets, but the long shadows of their regime remain. Eleven-year-old Fawad--a charming, impish, and wickedly observant Afghan boy--has known more grief than most: his father and brother have been killed and his sister has been abducted. Ever the optimist, Fawad hopes for a better life, and his dream is realized when his mother, Mariya, finds a position as a housekeeper for a charismatic Western woman, Georgie, and her two foreign friends. The world of aid workers and journalists is a new one for Fawad, and living with the trio offers curiosities--including Georgie's destructive relationship with the powerful Afghan warlord Haji Khan. Fawad grows worried, until he comes to learn that love can move a man to act in surprisingly good ways. But life, especially in Kabul, is never without peril and the next calamity Fawad must face is so devastating that it threatens to destroy the one thing he thought he could never lose: his love for his country. Review: I have had this book on my TBR shelf for such a long time so the big question is: what the heck was I waiting for?! This is a wonderful book! 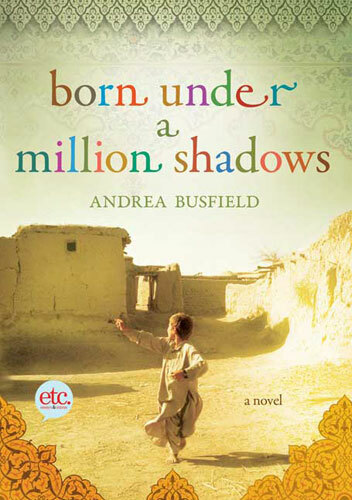 I was taken in by Andrea Busfield's great writing style from page one. I am not one for flowery language and too much description and Busfield's style worked really well for me. I found myself reading sentences out loud to my ten-year-old daughter just so I could hear the sections again out loud. And, now I am mad at myself because I thought about marking passages as I went along (something I never do) so that I could include one in this review. But, I didn't and now I can't find one that I want to share. Sorry about that. Rather than a book with a story, this novel is a character study. That doesn't quite sound right because obviously there is a plot that is very well done. But it is the characters that drive this book as the reader gets to know them inside and out. I truly believed in every single character, not feeling as if they are charicatures of Afghans, but real people that I cared about. The other novels I've read set in Afghanistan have all been wonderful, interesting, and riveting, but also very depressing. This one is different from those others in this respect. While there are sad events, Busfield made sure to bring out the parts of Afghanistan that she loves: the beauty of the country; the pride of the people; the culture; the friends she made; the resiliency of the Afghans; and more. 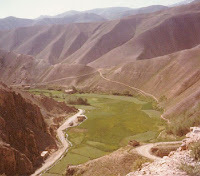 Busfield lived in Afghanistan for a few years as a journalist so really has a sense for what it is like to be there, to befriend Afghanis, to work there as a foreigner, to understand the culture and the systems. This shows through in her writing and the story. 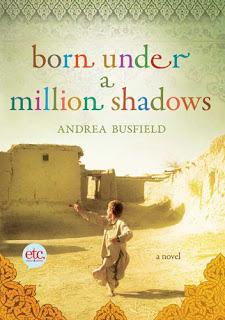 I am someone who always reads the epilogue, acknowledgements, and other bits at the end of the book and this book has two sections at the end that really made it all come together for me: the inspiration for the novel (closely mirroring her experiences) and the author's personal experience living in Kabul. It brings so much more credibility to the authenticity of the book. Beautiful review!! I'm glad you loved this! I can't wait to read this. I love it that you provided a list of other books you read that were set in Afghanistan. What a great review. I do have this on my wish list. I loved this book when I read it last year! So glad to see you enjoyed it too!